Occupy L.A. has killed the grass. A water-wise garden should take its place. Whatever the accomplishments of Occupy L.A. when it finally decamps — or gets evicted — from around City Hall, one positive achievement is already clear: It has killed the lawn. The Times’ editorial board has harrumphed about the taxpayer expense of replacing one of downtown’s “rare green spaces,” and it worries that the “majestic figs” are at risk. Last week, the Department of Recreation and Parks sent an aggrieved letter to the mayor about signs nailed to trees, broken sprinkler heads and compacted soil. The nails and compacted soil are unfortunate. But really, Rec and Parks is missing the point. Occupy L.A. has given City Hall the chance to walk its talk. For more than two years, the mayor and the City Council have been preaching water conservation. Yet since they instituted a citywide sprinkler ordinance in 2009, and even started paying single-family homes a buck a square foot to rip out lawns, by the Department of Water and Power’s own estimate 54% of the water used by single-family homes still goes outside. The government is almost as profligate: 41% of its water is outdoor use. Much of this goes to lawns. Los Angeles cannot be expected to improve these numbers unless the mayor and the City Council lead by example. Other cities, such as Austin, Texas, understand this. In 2004, Austin responded to chronic overuse of the local aquifer by surrounding its City Hall with native gardens irrigated by a rain-catchment system. Meanwhile, Los Angeles has left a plan for re-landscaping City Hall with a similarly progressive garden stuck somewhere between the bureaus of sanitation and engineering. City officials will neither confirm nor deny the existence of the plan, but word in the landscape design community is that it is stalled because of lack of funds. This insistence that we cling to a wasteful model because conservation is too expensive doesn’t scan. Whatever hard times the city faces, the real deficit isn’t money. It’s skill. The inertia isn’t budgetary. It’s cultural. Until Occupy L.A. smothered it last month, lawn remained around Los Angeles City Hall in part because that’s what Rec and Parks knows how to tend. To have a garden that celebrates our Mediterranean climate the way Austin’s salutes Texas prairie, Rec and Parks staff would need to learn how to weed instead of mow, mulch instead of blow and maintain drip irrigation instead of sprinklers. And the article continues to drone on and on. Blah blah blah. And then more blah. You see, I’ve got a much better way to deal with the fact that liberals have killed the lawn and the landscaping around city hall. Let it stay exactly as it is. Let it remain exactly as it is as an object lesson of what liberalism does: it ruins. It destroys. It kills. And then, of course, it seeks to take the very damn “crisis” that it itself created and turn it into yet another boondoggle symptom of the very liberalism that created the mess in the first place. My solution will be far, FAR less expensive than Emily Green’s. And it will actually tell the real story. Here’s another solution: make the worthless Occupy cockroaches get off the damn grass or at least confiscate every single thing that the as a “community” own to force them to pay for the millions of dollars in taxpayer money they (literally) pissed away. Because I bet liberals would actually start getting responsible about the trillions of dollars they piss away every damn year if it was THEIR DAMN MONEY. 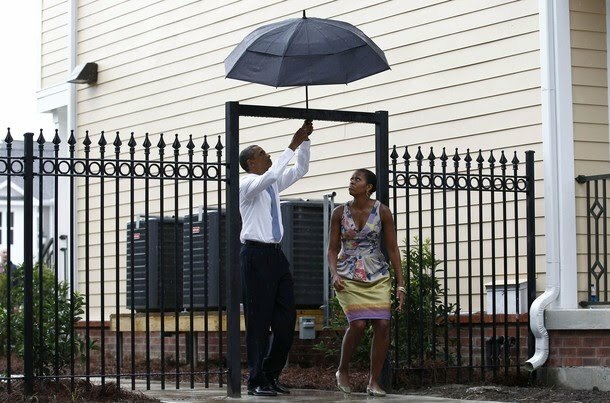 This entry was posted on November 16, 2011 at 1:10 pm and is filed under Conservative Issues, Democrats, Economy, first Jeremiah Wright term, Politics, socialism. You can follow any responses to this entry through the RSS 2.0 feed. You can skip to the end and leave a response. Pinging is currently not allowed. Btw, I hope you had a great Veteran’s Day. My son’s JROTC unit was in the local Veteran’s Day parade and later that day, we had a great range session at our gun club. Great father/son time! …a very touching seen John Wayne at his best! Tear up every time I see that scene. And sure enough teared up now, too. By Mike Krumboltz | The Upshot – Tue, Nov 15, 2011. Never write an email that you wouldn’t be OK with the whole world reading. A professor from Suffolk University Law School in Boston is experiencing why it is important to remember that rule of thumb. Michael Avery composed a five-paragraph message to his colleagues in response to a campus-wide drive for care packages for American troops stationed overseas. In his email, Avery wrote that it is “shameful that it is perceived as legitimate to solicit in an academic institution for support for men and women who have gone overseas to kill other human beings.” Avery specializes in constitutional law. If you don’t believe me, just ask any Navy “corpse man.” A corpse man will tell you all about it. Or of course any of the people and groups who are supporting the Occupy movement will, come to think of it. Hope you had a great Veterans Day, too, Dauntless. Just talk to the corpse man. Corpse men know that Obama is a raving idiot and an abject disgrace as a commander in chief. I’ve come across that one, too. 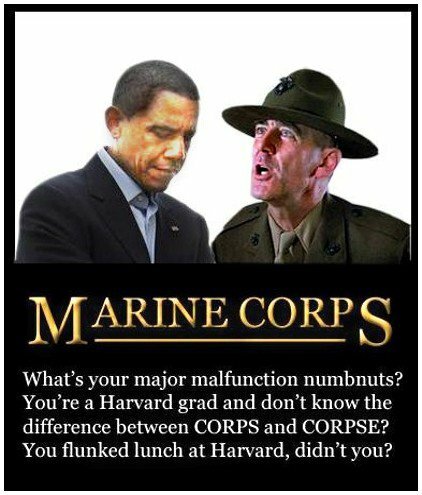 It’s hillarious; you get him, Gunny.